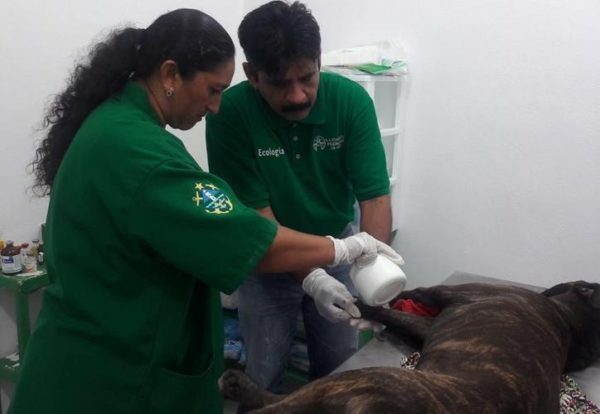 The Deputy Director of Ecology of the City Council of Progreso, Andrey Narváez Denis, explained that the department under his charge provides free veterinary consultations and sterilizations to dogs and cats, by appointment. “Since the beginning of the administration until this week, 615 cases have been treated, including free consultations and sterilizations,” the official said. In addition, Narváez Denis explained that the Sub-Directorate of Ecology has answered 61 complaints of dogs and cats that have been found dead on public roads; it has also promoted the culture of adoption, giving 27 families a new member, whether cat or dog. “The mayor of Progreso, Julian Zacarias Curi, aims to promote health and, as far as Ecology is concerned, has entrusted us with making the population aware of how important responsible pet ownership is, and that as a municipal government, we must provide the conditions for contribute to this encourage this situation, “added the official. “We are open from Monday to Friday from 8 in the morning to 8 at night or on Saturdays from 9 in the morning to one in the afternoon, giving medical consultations, applying injections and even performing minor surgeries. All citizens can get in touch with us to be able to schedule an appointment and we help them to take care of their pets, our number is 969 103 93 32 “, Narváez Denis concluded.